3 Beds 2 Baths 1,460 Sq. 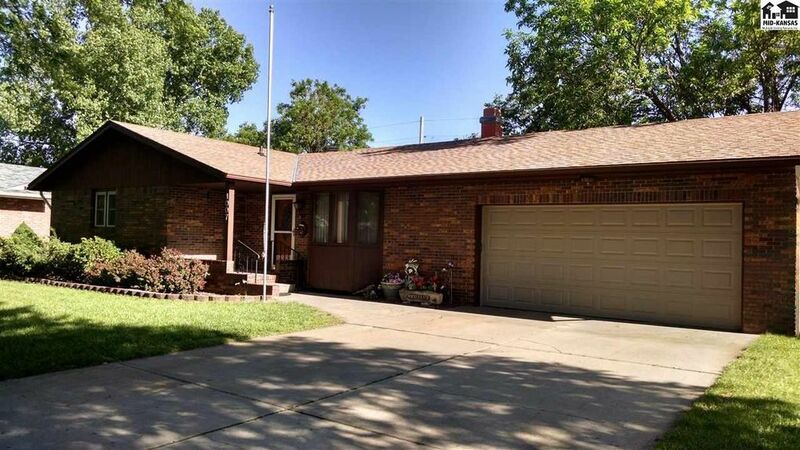 ft.
For showing call Anita McQueen 620-727-5647(ReMax Solutions 10100 W Maple St Wichita KS. ) Convenient, easy accessible 3 bedroom 2 bath home, with concrete drive to double attached garage, main floor separate room laundry with pantry across room , stove, refrigerator microwave, remain . Enjoy enclosed Sunroom over looking ... beautiful lawn, complete with beautiful blooming flowers, mature trees, and manicured lawn, enclosed with wood privacy fence, and storage in back yard. . Close to shopping , fast food restaurants, hospital and Drs. Graber school district, and Hutchinson Middle and High School. Directions: In Hutchinson...from 30th and Severence South to 27rh East to property on the South side .